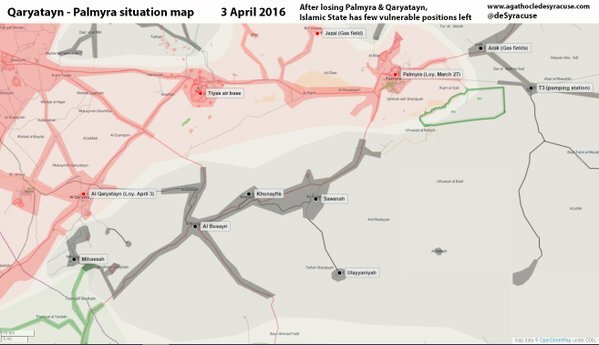 SAA has driven ISIL out of Qaryatayn, helped by the RAF (Russian air force, that is). Readers may remember what happened there when the city fell ('Qaryatain August 2015' PACHI Friday, 21 August 2015), here is the St Elian (Mar Elian) monastery. "On the ground journalists confirm that dozens of Syriacs had been executed by IS and no more Syriacs left in the town".